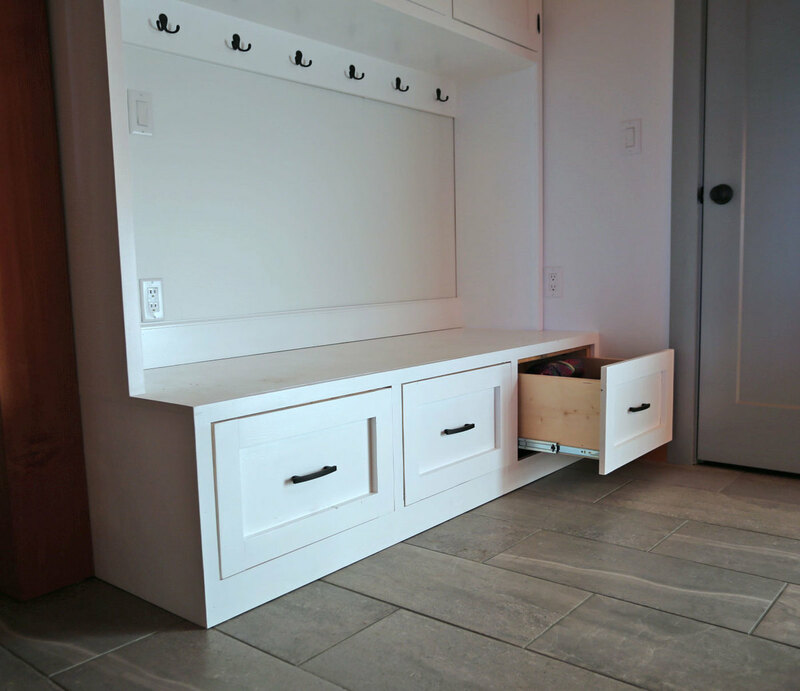 Maximize the functionality and storage in your mudroom with a new mudroom bench with drawers. 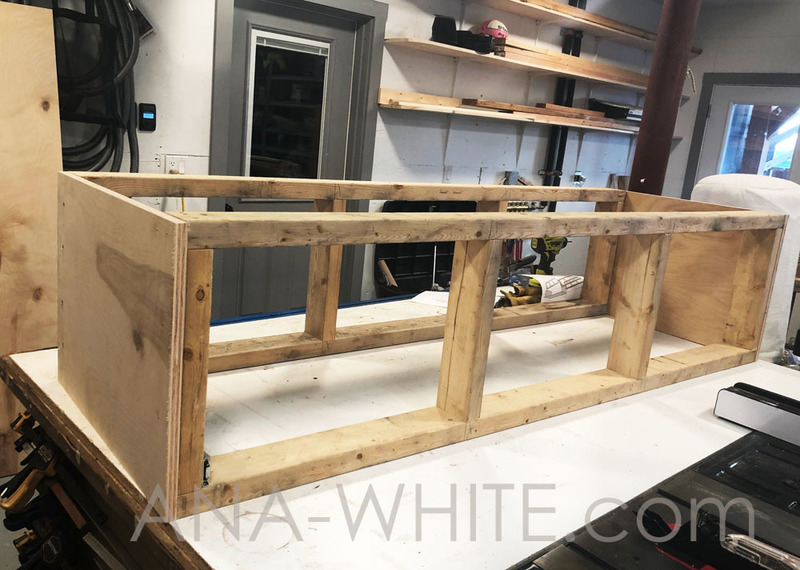 This easy to build drawer bench will add a ton of very accessible storage and provide a comfortable bench in your mudroom. The free plans are below. 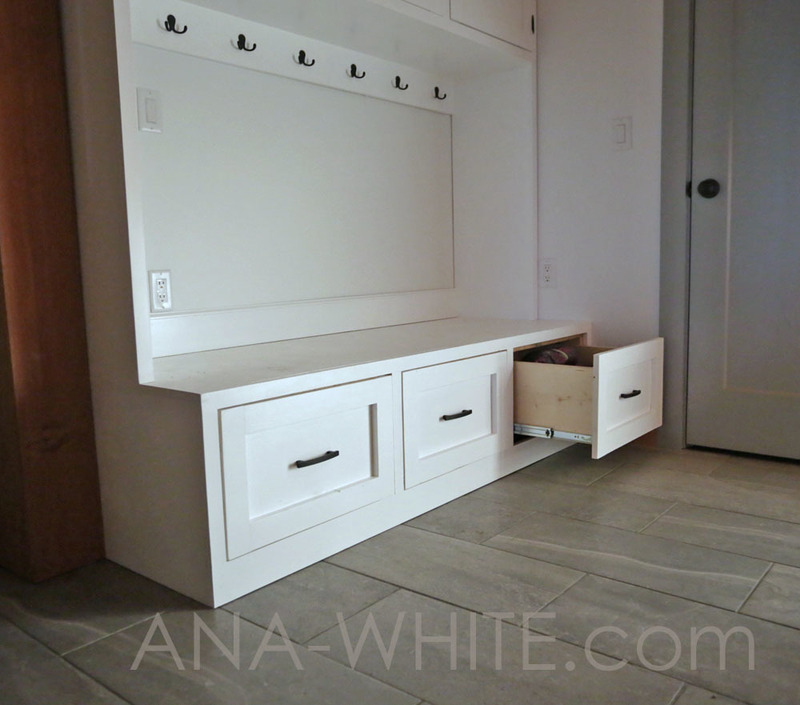 Nothing like falling snow to motivate you to tackle your mudroom organization system. Especially when it looks like this. Especially when it’s below zero and there’s a few inches of snow on the ground. Especially if you’ve got a down coat problem. And two kids in ice hockey. And you live in Alaska. I love drawers for any storage below the knee – otherwise, I end up on my hands and knees digging stuff out. 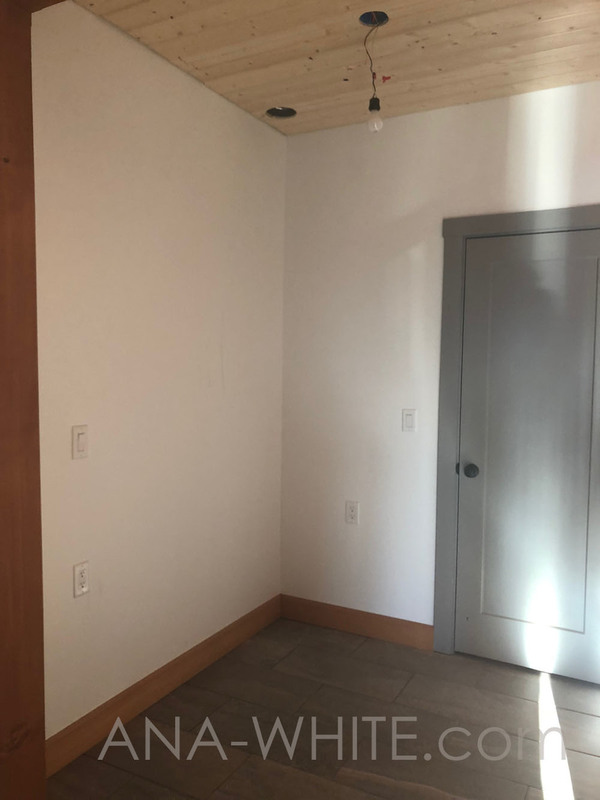 And since the space allows for a deep bench and I especially don’t want to be on my hands and knees digging something out two feet back, drawers are a must build for our space. 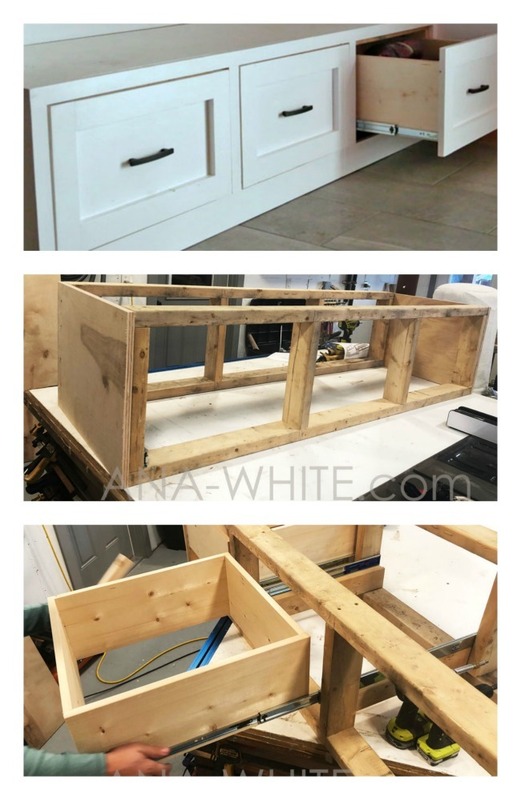 But drawers can be a little bit of a pain – and alot of wasted material. So we did something a little different this time. 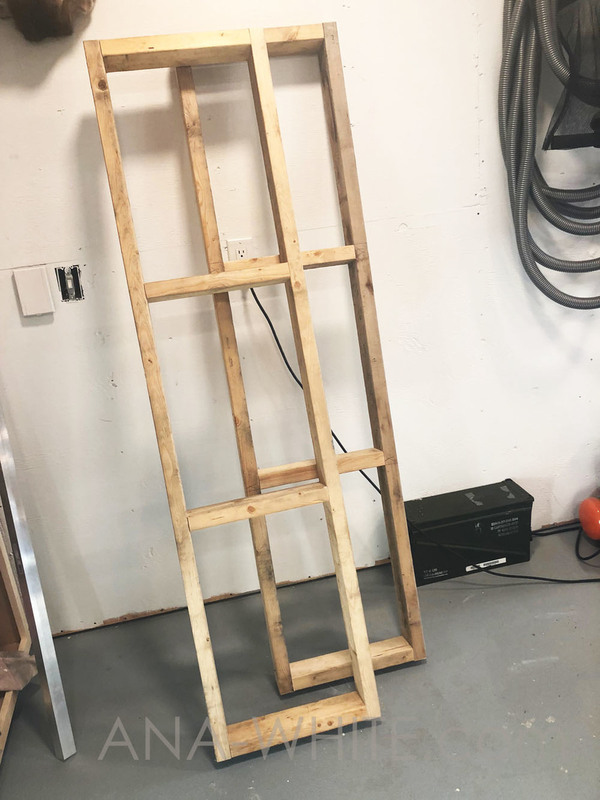 We built these two frames out of 2x4s. Just chop up 2x4s with a chop saw and screw them together. Then we screwed/nailed plywood to the sides. 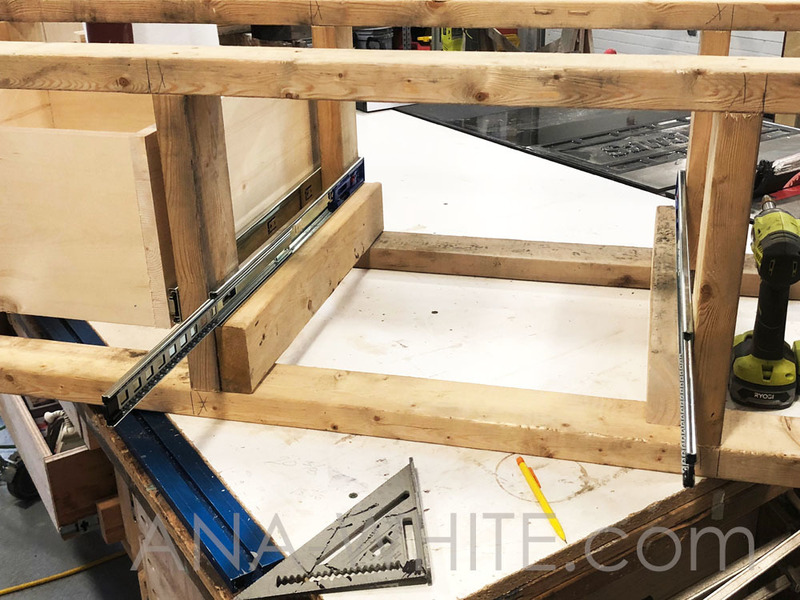 Then we installed some drawer slides inside the 2×4 frames. 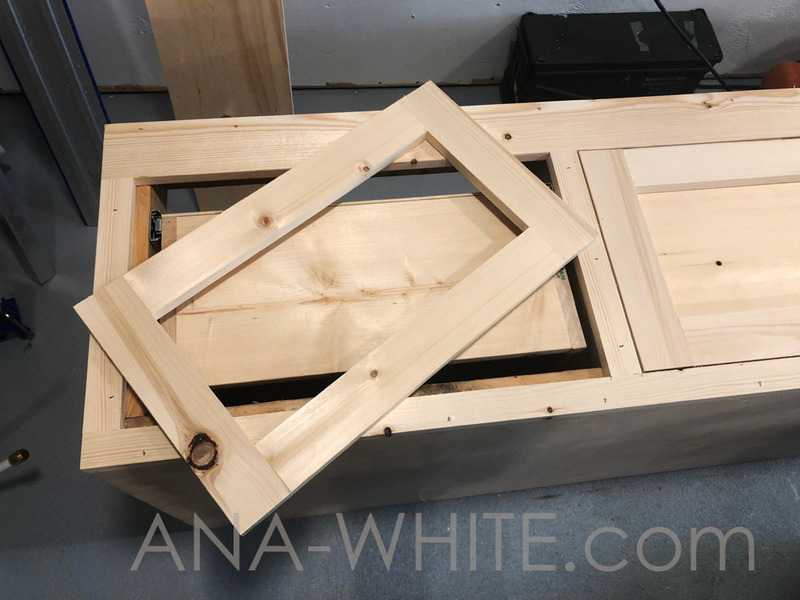 Then we built drawer boxes out of 1x10s and added the other part (drawer member) of the slide to the drawer. And nailed them to the front of the drawer box. 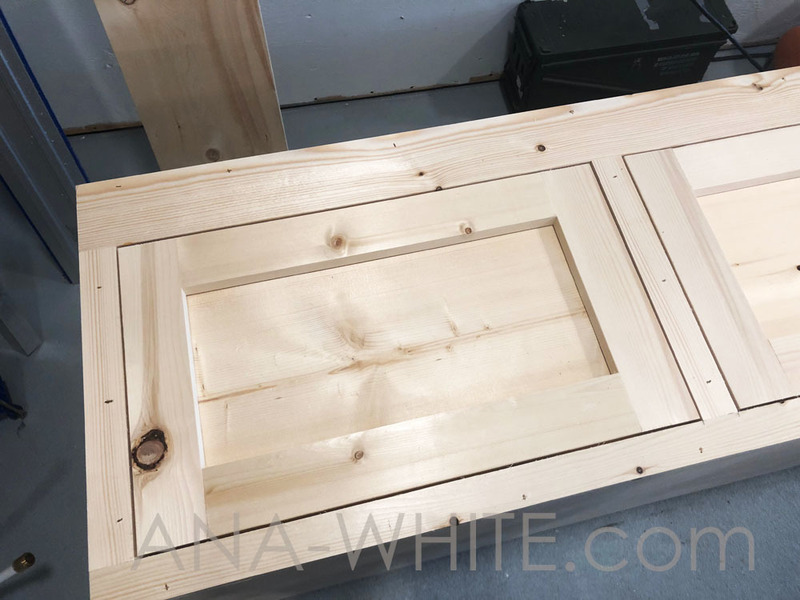 Two coats of paint (with a fine sanding in between) and we built this! 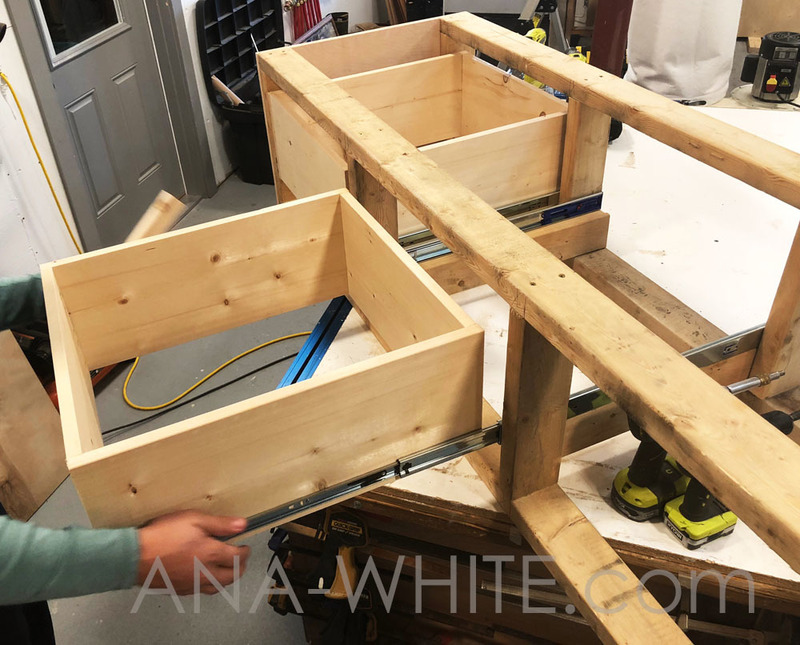 There’s lots of ways to build a bench with drawers, but this is how I’m doing it for now on. This was the fastest easiest method I’ve ever done. And if you are ready to build, the free plans are below. 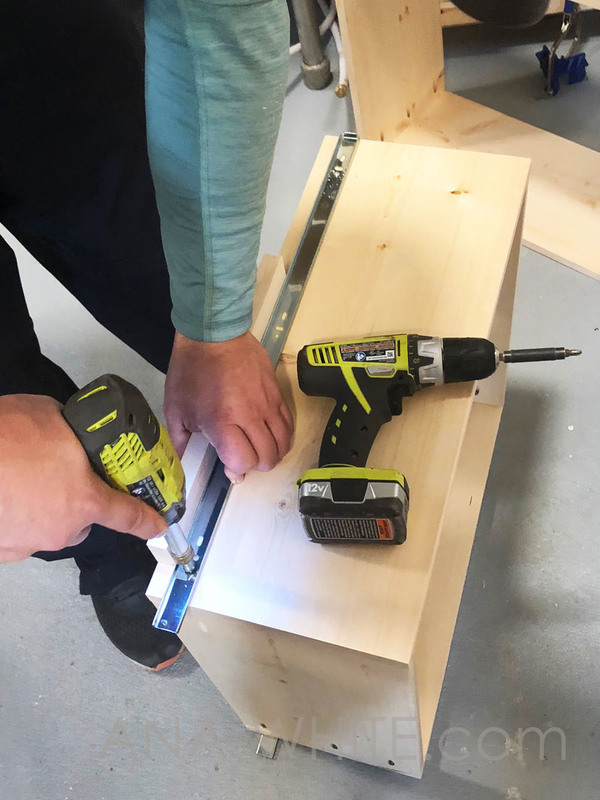 Please share if you build, it makes our day (and helps other diyers out too) when you share your projects!